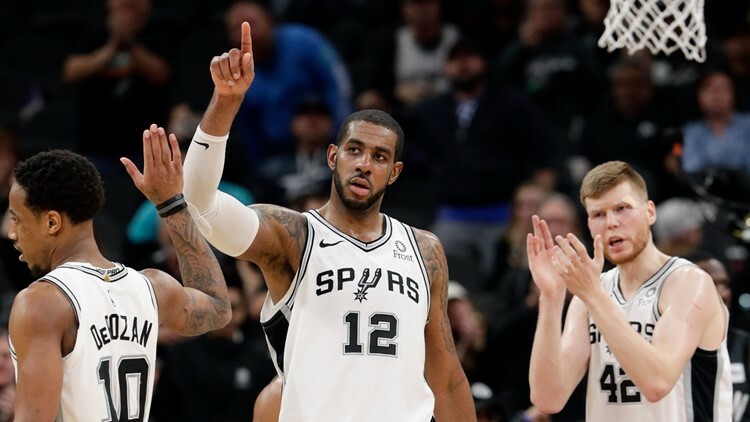 Game against the Trail Blazers is the third of this year's rodeo road trip, and the Spurs are still seeking their first victory. When, where: Thursday, 9:30 p.m., Moda Center, Portland, Ore.
Spurs' last game: Lost to Golden State Warriors 141-102, Wednesday, Oakland, Calif.
Spurs' injury/inactive report: Forward Ben Moore (G League assignment), out; point guard Dejounte Murray (torn right anterior cruciate ligament), out; guard Lonnie Walker IV (sprained right ankle), out; point guard Derrick White (right heel soreness), out. Blazers' injury/inactive report: None to report. Notable: The Spurs are 0-2 on their annual rodeo road trip after being routed by reigning NBA champion Golden State on Wednesday night . . . The Silver and Black will play eight consecutive road games before hosting the Detroit Pistons on Feb. 27 . . . Portland is fourth in the Western Conference and San Antonio is sixth, just percentage points ahead of Utah (31-24). The Spurs play at Utah on Saturday afternoon . . . The Silver and Black have three more games before the All-Star break . . . They have gone on an extended road trip each year since 2003 to make room at the AT&T Center for the San Antonio Stock Show & Rodeo, scheduled Feb. 7-24 this year . . . The Silver and Black are the only NBA team with an all-time winning record against every team in the league. San Antonio leads the series against Portland 85-83.